Its now June and so time for a new image for Robyn’s One-Four Challenge. For this first week I wanted to keep the edit quite simple. I cropped it and used the clone tool to remove the remaining branches in the top right corner. I then used the levels adjustment tool to boost the shadows and highlights, added a warming filter and increased the saturation a little to make the autumnal colours pop. All edits were done using Photoshop Elements 13. 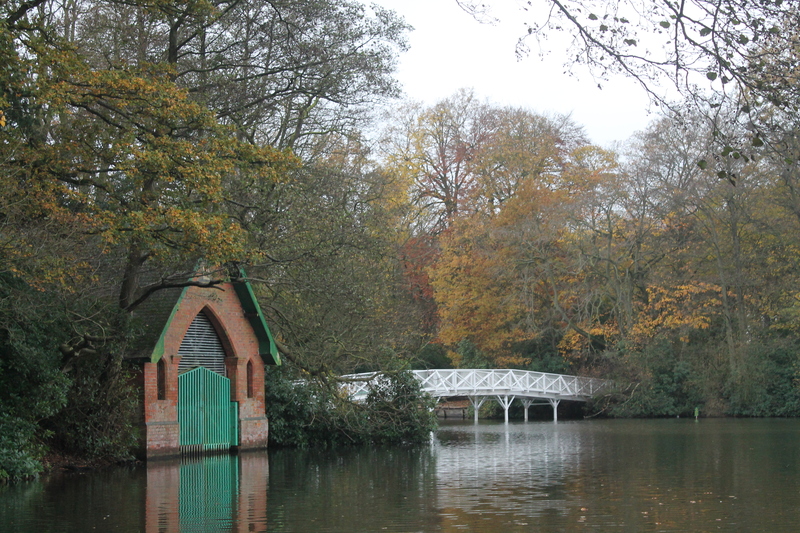 This month’s picture was taken in Hartsholme Country Park in Lincoln (UK) last November during Photography 101. I used shots of the front of the boathouse for the architecture theme but this one, showing the rear view over the lake, was never used. 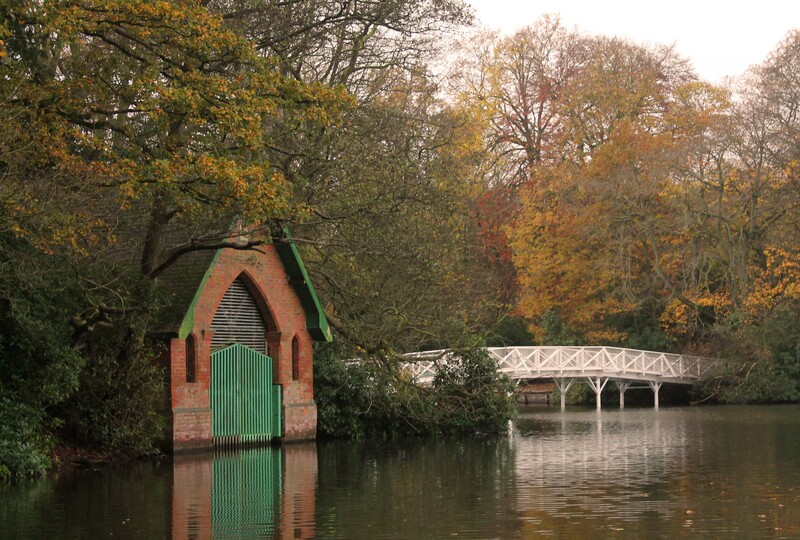 The boathouse is Victorian, built in 1881 when the park was still the grounds of a stately home. The bridge is a much newer addition – it was opened just last March. It’s amazing the difference the warming filter has made. Very nice! Thank you. 🙂 I used a live a couple of minutes away from there – it was my favourite place to go to for a walk. I’m glad you like the edit. Nice serene spot and I like your gentle but effective edits. Beautiful golden glow. Very nice edit. Love the photo and the warming filter has just given it that subtle lift.. Love it! Thank you. I’m glad you like it. 🙂 I’ve got lot’s of ideas for edits this month and I’m looking forward to playing around with the image some more. Beautiful location! I am sure you will have fun playing with this view each week. The effect really did “warm” it up, very effective. Looking forward to enjoying this image this month. lovely Louise- I like the peacefulness and yes the colours are more vibrant! Thank you. 🙂 I’m looking forward to playing around with this image. I really like this warmed up saturated edit over the original, definitely has some punch now. Nice editing.